Content marketing is more effective, but some companies cannot make it work for them. 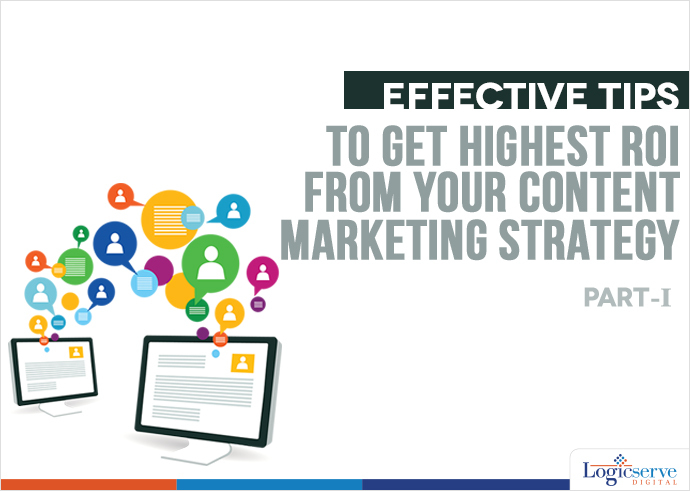 Here are few creative and effective ways to increase your content marketing strategy for getting highest ROI. It’s been some time now and across most debates and discussions relating to online marketing, Google updates and more, the term Content Marketing has emerged to be in the forefront. Today, every other company chooses to implement unique marketing strategies to establish themselves as experts in the industry. To achieve this objective content marketing comes as a handy tool to increase the company’s credibility, shorten the sales cycle, create thought leadership by educating customers and building relationships. Blogs, webzine or articles in print, videos, podcasts, webinars, speeches, workshops, interviews, infographics, white paper, case studies, newsletters, ebooks and much more. In fact, a balance of both offline and online content is desirable for better outreach. Taking this to the next level, you must be clear about – what to publish, how to publish, where to publish, frequency of publication for effectively marketing your content and your business. Whilst planning, consider content marketing to act as a communication channel which permits you as a business owner to interact with your clients and other way round. Not only are you supposed to promote and market your product/service but also offer customer service and support. Customer Engagement – Be responsive in acknowledging customer feedback, posts on social media channels. Believe us it works!! Get traffic via Blog – Considered as an informational site with customized themes and more, blog is known to be a preferred source of dissemination of information to the customers. Thereby leading to high traffic and high search visibility which implies increase in SEO rankings of the blog and site linked to it. Keeping this is mind, blogging frequently about your products, services, appreciations and latest updates could help you to enjoy desired traffic. However, be careful not to overdo it. Instead, maintain a target of uploading two – three blogs on a weekly basis which could serve the purpose. Take this ahead by sharing the posts through the social media; this could work towards brand recognition and even enhance your online reputation. Want To Transform Those ‘Likes’ Into Business Revenues? Here’s How You Can!